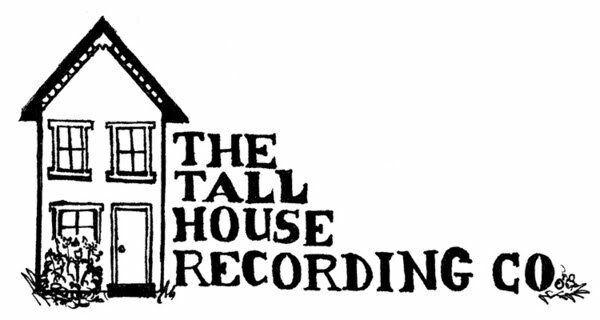 Sounds from the Tall House - Dec 12/10 - Tapes! Tapes! (Mostly) Tapes! Do not miss the chance to see internationally renowned improvising percussionist Dong- Won Kim appearing as part of a symposium on creative improvisation held in Guelph this coming week. Entitled “The Improvising Eye,” the symposium will be held in a number of downtown Guelph venues on Friday 17th December, from 1pm-10pm, and will include talks, interviews, film showings, and performances. “The Improvising Eye” symposium starts at 1PM at 10 Carden Street, Guelph. The first event is an interview with Guelph improvising film-makers Mauricio Martinez and Nicholas Loess (University of Guelph), followed by a film showing of Martinez’s experimental film The Improvising Eye. The Dong-Won Kim interview will take place at 3PM. At 8 PM, at Norfolk United Church, Dong-Won Kim will be performing as a very special guest in the last event of the program, a concert with local Guelph favourites The Vertical Squirrels. The music of the Vertical Squirrels is group-improvised, live in the moment, and draws on a unique mixture of free jazz and post rock sensibilities with nods to Indian ragas, jazz-inflected minimalism, Zappa-esque bouts of sonic anarchy, and 70s German rock music. Their new recording, Hold True, has recently been released on the prestigious Ambiances Magnétiques label and was recently the #1 release on the Top 30 Independent Radio Charts on CFRU-FM in Guelph. The group features Ajay Heble (piano), Daniel Fischlin (guitars), Lewis Melville (bass), and Ted Warren (drums). All events at “The Improvising Eye” are free and open to the public. This symposium is presented by the Improvisation, Community, and Social Practice (ICASP) research initiative at the University of Guelph. ICASP is funded by the Social Sciences and Humanities Research Council of Canada. For more information, contact Rebecca Caines. Email rcaines@uoguelph.ca or telephone 519 824 4120 Ext. 52316.